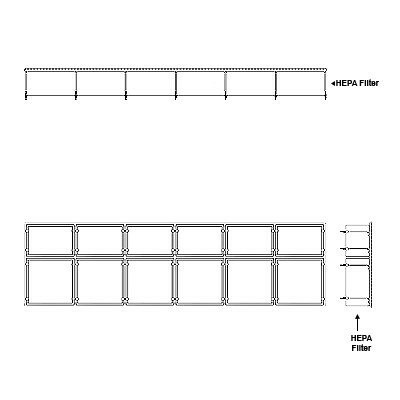 Aire-Loc HEPA Front Load Grid Assembly 1 1/2 High 6 Wide 12-Inch HEPA Filter | Air Filters, Inc.
Aire-Loc™ Front Load HEPA Grid offers a simple solution for high efficient AHU or field HEPA installations. 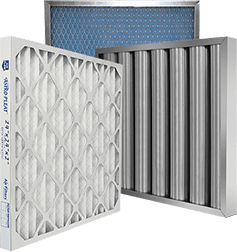 Its unitary design eliminates the need for individually banked filter holding frames. The Bolt-Lock consists of four positive pressure swing arms with spring loaded clip locks that apply pressure on the filter by compressing the gasket against the filter’s frame keeping the filter tightly sealed.